Rumors: Is Sony saving a 52MP camera for its upcoming Xperia XZ4? Home / mobile / news / sony / Rumors: Is Sony saving a 52MP camera for its upcoming Xperia XZ4? Unofficial sources claim that the triple camera set up of the alleged Xperia XZ4 will have 52MP f/1.6 main camera. 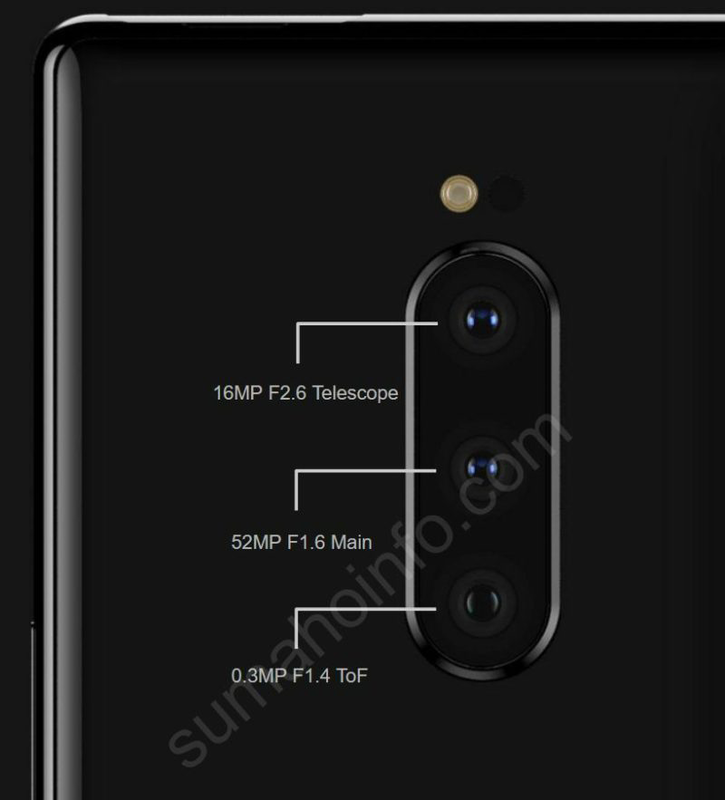 Alleged specifications of the triple camera set-up of the upcoming Xperia XZ4! Pocket Now spotted Japanese website: Sumahoinfo.com's article that features an image found on Reddit that breaks down the specifications of the triple camera set up of the alleged upcoming Sony Xperia XZ4. Could it be the highest MP on a phone? If this is true, this trumps the previous highest 48MP Sony sensor found in the Honor View 20. The validity of the image is up in the air simply because anybody could add lines and text in Arial on an image. The vertical camera layout is consistent with alleged renders found in other publications and alleged casing design. Take this information with a huge grain of salt as there are no other supporting leaks nor has Sony announced an official statement. What do you think? Could this be true? Will this 52MP sensor help Sony with more sales?